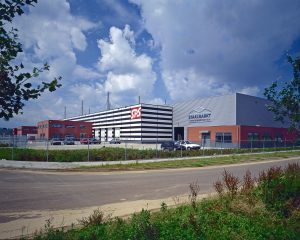 ROTTERDAM 6 april 2018 – SPS, manufacturer of lacquers, wall paints and decorative plasters, has leased the warehouse De Steenbok 30-32 at business park De Brand in ‘s-Hertogenbosch from a private investor. Form this building, which comprises a logistics warehouse with a surface of 5,770 sq m and office space of 410 sq m, SPS will further develop the logistical processing to their customers in the Benelux area. INDUSTRIAL real estate partners acted on behalf of tenant SPS in this transaction.